It’s time to retire that old image of a dentist pulling teeth with glorified pliers. In fact, most dentists today rarely need to pull teeth. 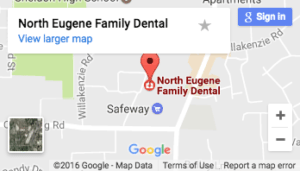 The practice of dentistry has improved to the point where almost every tooth can be repaired or saved, says Eugene dentist Dr. Kirt Kirchmeier of North Eugene Family Dental. Kirchmeier keeps a stash of apples and oranges in his office that he munches on every day until lunchtime. “I’m a big apple-a-day guy,” he says. He’s also a big loves-to-work-with his-hands guy. Before graduating from the Oregon Health Sciences School of Dentistry in Portland, Kirchmeier grew up in Red Bluff, Calif., where he had his own mechanic and automotive machine shop. “We machined parts, so that side of it is very similar to what we’re doing inside of a tooth,” he says, smiling. That love for precision work with his hands is still a big part of Kirchmeier’s practice. Unlike many dentists who refer work to other specialists, such as for root canals, extractions and implants, Kirchmeier does all of that in-house. 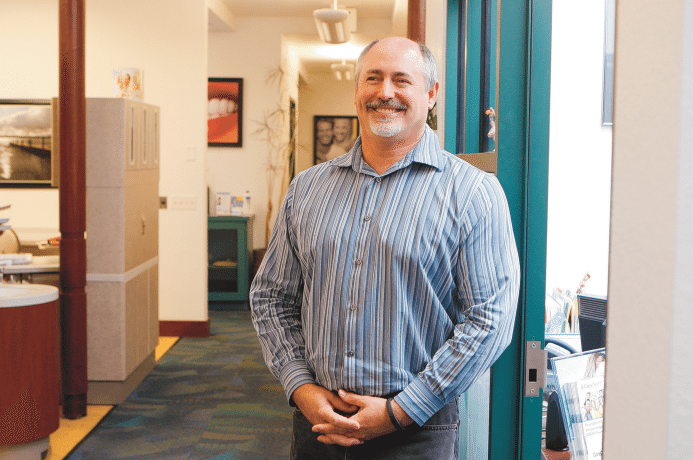 Kirchmeier started his practice in Bend after graduating from dental school in 1997. A skier, he was right at home in Bend and remained there for 10 years. When his wife, Cindy, wanted to pursue her education in Eugene, the plan was for her and their daughter to commute back and forth from Bend. Instead, Kirchmeier commuted, living in Bend three days a week and Eugene four days a week. “That wasn’t working,” he recalls, so he sold his Bend practice to an associate and came to Eugene in 2007. This article ran in the Register Guard Aug 8 2013.